What is the Appropriate Term for a Book Contract? The truth is: long book contracts look increasingly unattractive. The question is: what is the appropriate term for a book contract? In the age of digital publishing, the opportunities for authors continue to evolve, often faster than publishers can take advantage of them. Is it appropriate to tie an author to a 20-year contract, or even a 10-year contract, any longer? Or is a longer term simply the cost of doing business, as publishers reap a large percentage of profit from developing and selling backlist? 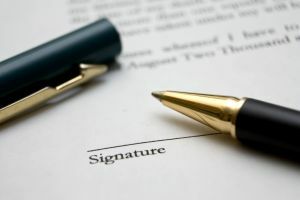 Authors, naturally, will want the shortest term contract possible, but how far are publishers willing to compromise knowing there are digital publishing start-ups and companies like Amazon looking for opportunities to build their own lists and willing to make authors contractual offers publishers might never have considered only a few years ago.